In 1998 Toby Marks formed Disco Gecko Recordings as an outlet for his music as Banco de Gaia as he couldn’t find another label that he was happy to work with. His earlier experiences working with both independent and major labels had left him less than convinced that he would find anyone who actually understood, or cared about, what he was trying to do, so he thought he had better just do it himself. Initially he meant to add other artists to the label but it wasn’t until 2014 that he finally found the time to do so, releasing Andrew Heath’s gorgeous album The Silent Cartographer. Since then he has released albums and EPs by a bunch of other artists, always looking for music with heart, integrity and beauty. Unlike many peoples’ preconceptions about Banco, this isn’t a dance music label, although there is some of that. Rather, it’s an outlet for anything from ambient instrumentals to midtempo floor stompers via experimental electronics and traditional (and not-so-traditional) instruments. To mark 20 years of the label Toby decided to do something a bit more interesting than just a ‘best of’ compilation. As there are now nine artists releasing music on the label, plus various ‘associates’ (such as Andy Guthrie who was with him at the birth of Banco and still remixes and contributes the odd track when he can), he decided to ask them to each remix each other. The pairings were picked randomly but the results are anything but. 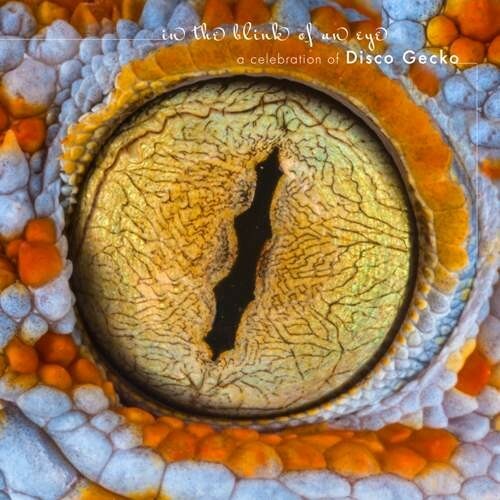 With tracks covering the full range of what Disco Gecko has to offer, this compilation showcases the talents of writers, producers and performers of the highest quality. Every track is a unique journey into the minds and personalities of two different artists, often working in very different styles, and the results are definitely more than a sum of the parts. 20 years has gone by in the blink of an eye. Hopefully this album signposts the way ahead for the next 20 (and beyond).